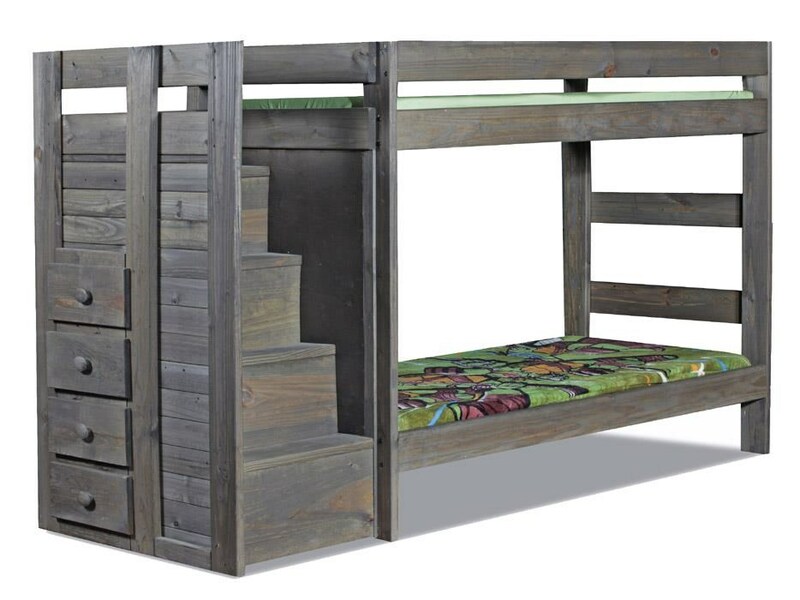 Functional and thoroughly constructed, this twin/twin staircase bunk bed is made with storage features to give the youth in your home organizational and storage options as well as solid and sturdy Pine construction. For lasting and durable sleeping space for multiple youths or friends, this bunk bed outfits your child's bedroom with a complete package that will grow with them for years to come. The Walnut Staircase Twin Over Twin Bunk Bed by Pine Crafter at Great American Home Store in the Memphis, TN, Southaven, MS area. Product availability may vary. Contact us for the most current availability on this product. Bunk Bed Construction Distance from top of bottom rail on bottom bunk to bottom rail of top bunk: 35"